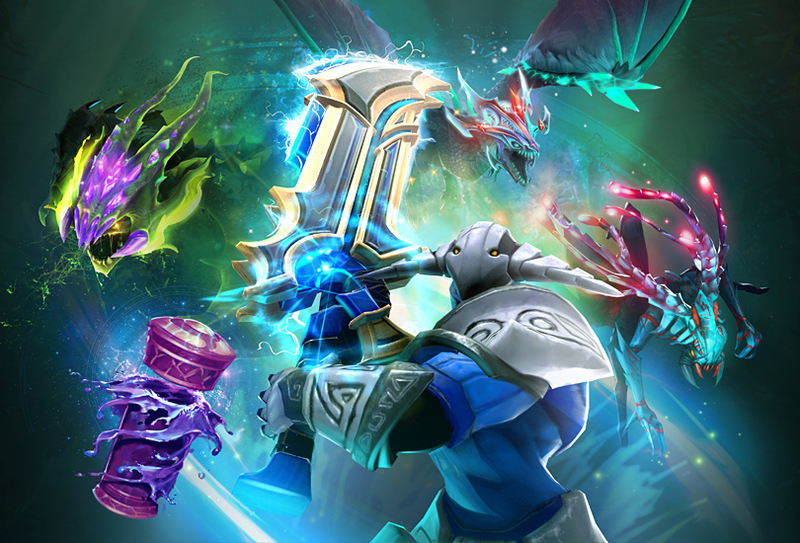 Immortal Treasure III is now available, featuring Viper’s venomous debut onto the item scene, along with all-new items for Weaver, Legion Commander, Spectre, Winter Wyvern, and Sand King. Each Immortal Treasure III you open also offers increasing odds to receive a rare drop of 50 Battle Levels, a very rare Golden version of the Weaver item, or an ultra rare sword for Sven. All Battle Pass owners can find an Immortal Treasure III ready to unbox in the Armory, and you can earn more of these treasures by increasing your Battle Level. Head over to the Battle Pass page for a preview of the new items and custom effects contained in today’s treasure. With The International just around the corner, we’d also like to take a moment to thank the Dota 2 community for the incredible support that has helped this year’s prize pool eclipse past records to become the largest tournament purse in esports history. We look forward to welcoming the players and fans to Seattle for the annual celebration of Dota and the community that helps it thrive.